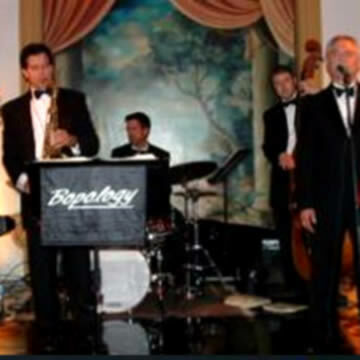 Bopology delivers authentic swing and jazz with tight arrangements and foot-tapping dance steps for your guests. Nominated 2017 Best Jazz Band by the Chicago Reader. 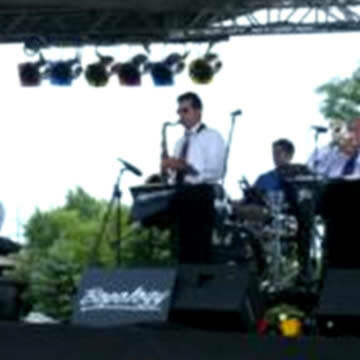 Chicago’s original Swing Band! Enjoy vintage authenticity that only true experience provides. 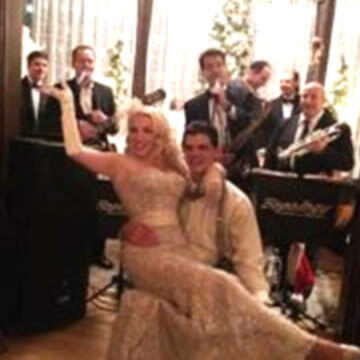 Established in 1992, the Swing revival was just beginning when Bopology became some of its Chicago fabric. Having three CD’s to their credit and recently nominated by the Chicago Reader as a 2017 Best Jazz Band, they are still an active influence in the vintage sound community. Musicianship mostly improves with age, and longevity has its roots. 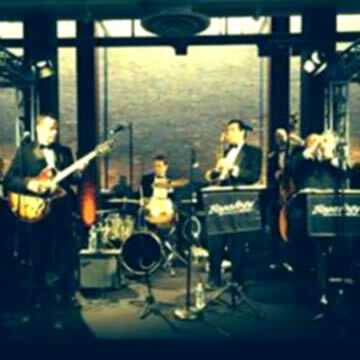 Their musical time period: a 1950’s and 1960’s sound delivered through an immersion in Modern Swing. 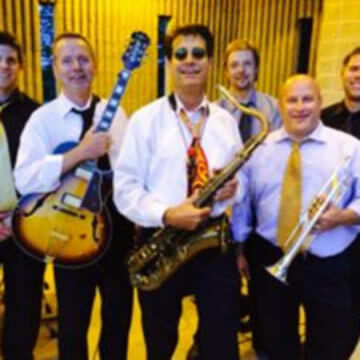 Bopology recreates the swing revival of 1998 – 2002 with music from the movie “The Mask” (1996 Warner Bros. Jim Carey) along with jazz standards and jump blues. 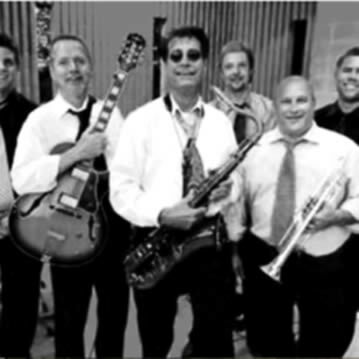 You may want alternative music that is foreign to the band’s instrumentation — the blend of a DJ and swing band covers all musical styles with authenticity.